This Rollo polished chrome switched 1 light LED wall mounted spotlight with cylinder head is compact, modern, attractive and versatile. Featuring a circular wall mount, short stem and top mounted fully adjustable cylinder head. Fitted with 4w of integral LED’s that give 350 lumens of warm white light and fitted with a discrete rocker switch on the wall plate. Ideal directional lighting for any kitchen or study wall. A stylish wall mounted LED spotlight with contemporary style that is a source of directional light for any room in your home. The adjustable head and polished chrome finish gives the fitting an on-trend and classy look. There are matching fittings in the polished chrome Rollo spot light range that includes a three-light ceiling plate and four-light ceiling bar; please see below. 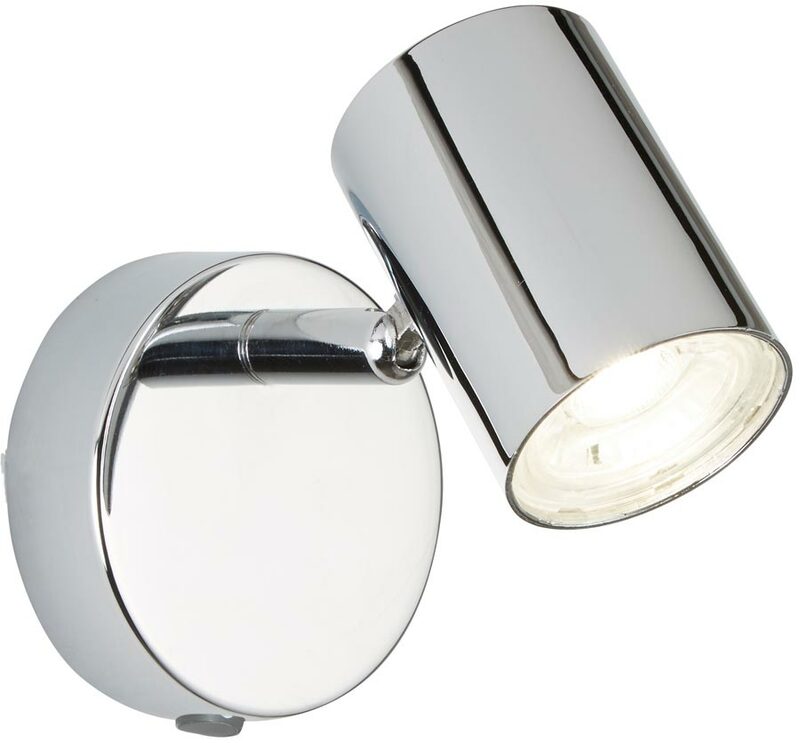 This wall light is supplied by Searchlight who manufacture some of the best traditional and modern classic designs such as the Rollo polished chrome switched 1 light LED wall mounted spotlight with cylinder head you see here.